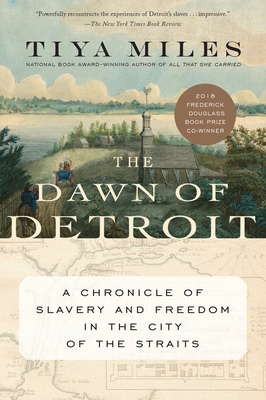 A brilliant paradigm-shifting book that "transports the reader back to the eighteenth century and brings to life a multiracial community that began in slavery" (The New York Times), The Dawn of Detroit reveals for the first time that slavery was at the heart of the Midwest's iconic city. Hailed by Publishers Weekly in a starred review as "a necessary work of powerful, probing scholarship," The Dawn of Detroit meticulously uncovers the experience of the unfree--both native and African American--in a place wildly remote yet at the center of national and international conflict. Tiya Miles has skillfully assembled fragments of a distant historical record, introducing new historical figures and unearthing struggles that remained hidden from view until now. "In her eloquent account," the Washington Post declared, "Miles conjures up a city of stark disparity and lives quashed." A message from the past for our troubled present, The Dawn of Detroit is "an outstanding contribution that seeks to integrate the entirety of U.S. history, admirable and ugly, to offer a more holistic understanding of the country" (Booklist, starred review). Tiya Miles is the recipient of a 2011 MacArthur Foundation "genius grant," and is an award-winning historian and former chair of the Department of Afroamerican and African studies at the University of Michigan. She lives in Ann Arbor.